Bowers & Wilkins' highly regarded P5 headphones are now available in a special Maserati Edition. Paying homage to the design heritage of both brands, the P5 Maserati Edition reportedly delivers the sound performance that is synonymous with Bowers & Wilkins, combined with design elements and materials drawn from Maserati’s rich Italian heritage. The P5 Maserati Edition is crafted from fine-grain natural leather in Maserati’s distinctive deep racing blue. The P5 Maserati Edition also features the iconic Maserati Trident emblem on the headband, and on the exclusive quilted-leather travel pouch. The Trident was designed by Mario Maserati in 1926, based on the statue of Neptune in the fountain of Bologna’s Piazza Maggiore. According to Bowers & Wilkins' January 15 press release, the P5 Maserati Edition also features the "audio performance for which the original P5 mobile hi-fi headphone is renowned, with unfatiguing natural sound from the use of specially developed, ultra-linear neodymium magnets and highly optimized Mylar diaphragms; maximum noise isolation through a combination of sealed-leather earpads and a closed-back design featuring a rigid metal faceplate; and extreme comfort for extended listening." Like the original P5, the P5 Maserati Edition is supplied with a Made For iPhone-approved cable, which allows for speech and device control, as well as a high-quality, standard audio cable with gold-plated plugs. Switching between the two is facilitated by the magnetically attached earpads, which simply pop off allowing access to the cable. 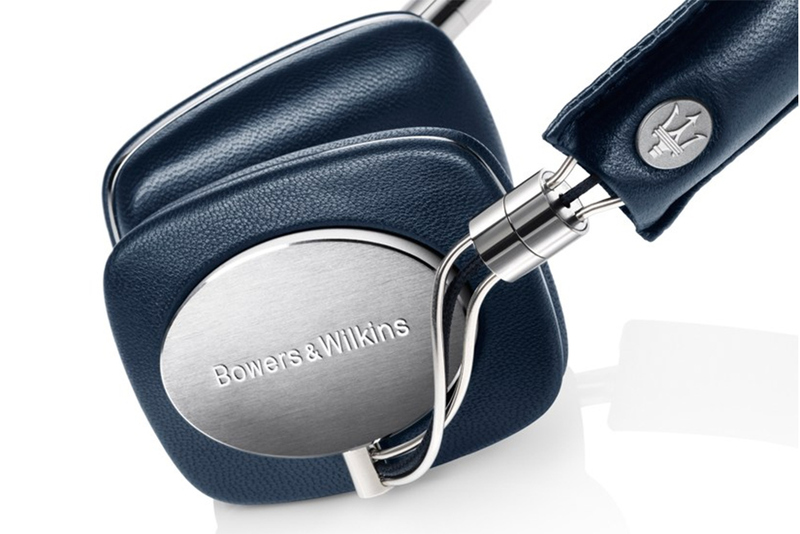 The Bowers & Wilkins P5 Maserati Edition headphones will be available for $399.99 in North America. The P5 Maserati Edition can be purchased in stores at appointed Bowers & Wilkins Diamond retailers. Additionally, the P5 Maserati Edition will be available online directly through the Bowers & Wilkins official website and Maserati¹s official website.